Amy Arthur and her husband Jay were looking to buy a new home. They originally contacted Lisa Ware, of KLM Properties, to help them sell their current townhome, so they could just rent while shopping for a house. Lisa guided this couple tremendously through the selling process. 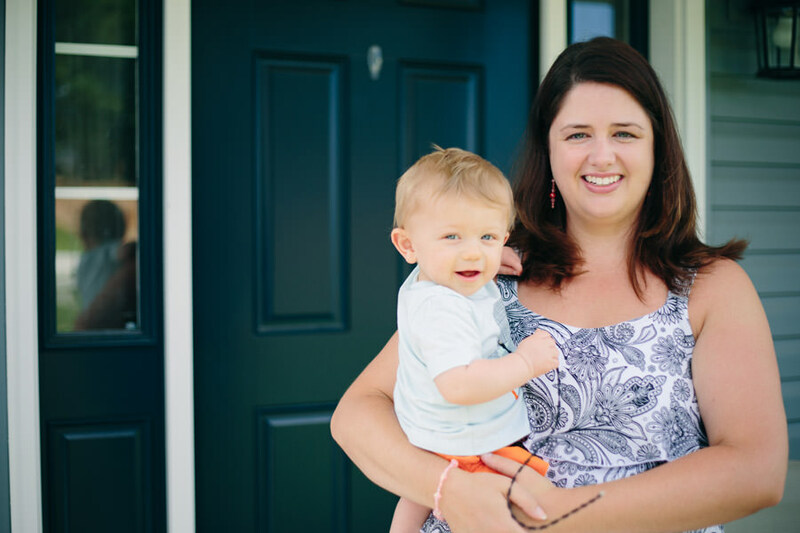 Because of all the improvements, Amy and Jay were able to sell their townhome for more than they expected, and the process was much smoother than they anticipated, too. While the couple was in the process of selling their townhouse, “Lisa found us a breathtaking piece of land and a great builder, and we are now living in a brand new house we built!” exclaims Amy. The couple was thrilled that Lisa took the extra steps for them and spared them the whole renting phase altogether. It has always been a dream of the couple’s to build a house they way they’ve wanted, especially to accommodate for their baby son, Ryan. Thanks to Lisa Ware, this dream was fulfilled. Lisa is an excellent REALTOR® and did everything she could to help us out, including holding our baby Ryan at our closings.